UPDATE: After about a week, I have decided to give this book a 5, because any piece of fiction that can have that strong an effect on a reader deserves the highest ranking possible! Besides, I've found that, no matter how tragic and sometimes unlikeable the chartacters were, I am still thinking about them days after I finished reading. I almost miss them! They have truly come alive for me. Besides, who doesn't love a good emotional roller coaster every once in a while?! Ha ha! You are so right about the end. I gave myself a horrible headache from a solid hour of crying. I couldn't stop after I finished either, but most of that was because it was over. Very nice review. I feel it does the book justice. Gone with the wind is my favorite book. Maybe I liked it alot because i read Scarlett right after it. You should read Scarlet if you are looking for a good ending. I just wanted to say that I had the same experience as you -- both heart-broken by the book & amazed by it's power to affect me. Thank you for the review. Great review. My initial reaction was the same, but each time I re-read this work, I think I gain a greater understanding of Mitchell's nuances-- in fact, I think that the last line is now the most consoling. Miss Scarlett has a knack to get what she wants, and now her desires are on a higher level. I think that promises happiness! Now that is whatcha' call a good read! i agree with you.. after finish reading this novel, i miss so much with rhett and scarlett..i keep wonder what scarlett will do to bring rhett back..i love all about them..
i also have read scarlett.. but still i keep wonder. I seriously considered throwing the book across the room when I finished reading it. I was in such shock that I really didn't know what to do with it. I love that you told your husband to burn it. I, instead, cried myself to sleep that night. I still feel like I could sit myself down and have another good cry about it, and its been 2 WEEKS!! Margaret Mitchell was unbelievably true to the south and I loved the way she wrote the story. I don't think I would have respect for the story if the book ended in sudden happiness. I read this during the summer when I was in high school about 40 years ago and i still can remember how much I enjoyed it. In a way you shouldn't have been surprised about how "dark" it can get... it was the Civil War and the reconstruction of the south went on for several generations. It is a wonderful book that depicts the times. Just the fact that it affected everyone the way it did shows that Margaret Mitchell did what she set out to do. SHe wanted us to know the effect of the Civil War and reconstruction had on the South, and she did that. All outcomes in life are not happy ones; the author was true to the historical context. This is the effect that war and society can have on a culture. You know a book is good when you dread finishing it because you will miss the characters. Why does everyone go into ecstasy about a book which glorifies a society in which human beings own other human beings (and their entire lifestyle is based on this slavery)? Slaves who loved being slaves? I don't think so. To find out what slavery was really like, read Toni Morrison's Beloved or A Mercy. Those are books that will really make you cry! I read Beloved by Toni Morrison. It is a totally different book, and the two cannot be compared. Gone with the Wind was not about slavery but about a society that, for good or bad, was torn apart. Barbara wrote: "I read Beloved by Toni Morrison. It is a totally different book, and the two cannot be compared. Gone with the Wind was not about slavery but about a society that, for good or bad, was torn apart." Why can't the books be compared? They are both about the same slave-owning society. GWTW was certainly about slavery--but was a total lie in the way slavery was depicted. All the slaves we saw in GWTW loved being slaves. Never could have happened no matter how "good" the owners were to the people they owned and exploited. Slaves lived in fear of being beaten or mutilated, of having their families torn apart and of working for the benefit of their owners, never themselves. All this so Miss Scarlet could wear her pretty gowns and enjoy the richest life imaginable. Despicable! Gerald wrote: "Barbara wrote: "I read Beloved by Toni Morrison. It is a totally different book, and the two cannot be compared. Gone with the Wind was not about slavery but about a society that, for good or bad..."
And Scarlett paid for that in the end! Poor Scarlet. Did she experience the life of a slave? Gerald wrote: "Poor Scarlet. Did she experience the life of a slave?" An immoral society will not continue to exist. Slavery is without a doubt immoral. The economy that the South built around slavery did not continue, its downfall depicted in Margaret Mitchell's book. I don't think this novel is about slavery at all. It's really an anti-war novel with the South as an example of what happens when people value an outdated, oppressive economic system and view war as a gallant, romantic way to salvage it. The beginning of the novel presents a Utopian view of southern plantations, but hints that there are problems with this mode--and Rhett Butler is usually the sharpest critic of the South's clinging to slavery and leaping to war. In fact, all of the suffering that takes place in the novel is because slavery was the glue that kept the society together--not a very reliable basis. The reason their society goes from Utopia to devastation is because they were actually excited about war--WAR! !--and never thought to alter their lifestyles. Sherman's march and Reconstruction were just some of the grim consequences the South had to face due to its own faults. And Gone with the Wind shows this. Is Gone with the Wind racist? You bet. But, Mitchell is writing from the perspective of SLAVE OWNERS! Of course, their views are racist! To depict them as abolitionists would not only betray the sentiments of the Civil War era, but would greatly detract from making the points I discussed earlier. Moreover, Mitchell wrote this novel in the 1920s. (It was published in the 1930s.) That was not exactly a great decade of racial equality and peace. However, it is very important to remember that racism is not a Southern phenomenon, nor is slavery. In fact, there is actually more slavery in the world now than there was in the 19th century. Sadly, I do not hear many people protesting this, just as no one really protested American slavery for about 200 years. One would think that we would learn the price for apathy from history--and the points Gone with the Wind makes. But instead, we're all ready to condemn Gone with the Wind! It's always so interesting to me that people are quick to condemn this novel without considering all of its good qualities, and will never consider giving other novels that are just as if not more offensive the same treatment. Where is the outrage over Richard Wright? Thomas Dixon? Ernest Hemingway? Dostoevsky? Tolstoy? If you believe there is none because GWTW is held on some kind of pedestal, what about these authors? And how many novels have we been bombarded with that chronicle a young woman's quest for a man--since that is the only thing we women are supposed to strive for. Frankly, I don't know if there is such a thing as a novel that does not offend. If there were such a book, could we even have literature? I still remember the day I finished that book. I was 15, I think a real mistake to have read the book at that age. I was stunned.Couldn't recover for days. But in th end, no matter how bitter it may seem at first, I still loved the book. For me who doesn't have any brush with any war history, it was a real insight into the turmoil people go through in such situations and somehow, despite all her scheming and cunning ways, we can relate to Scarlette. Its a very different read from the normal trend that writers used to follow back then, but yes its a heart wrenching, makes-you- hate-and-love-it-simultaneously masterpiece. Your review got me so excited about the book that I'm most definitely going to pick up a copy of the book tomorrow! Lara: Thank you for your comments! Totally articulated everything I've been thinking about the book. I agree--although the book can't get away from the racism of the time, it's not a novel about slavery. It's about the people who paid the full price for the horrific mistake of slavery (even though both the North and the South were to blame). It's about a way of life that was both beautiful and disgusting and how it was traded in for something new. It's about change and adapting and growing. And instead of condemning the book, we should see ourselves in it. There are so many changes we should now be making but instead we're simply ignoring the horrible injustice that is still prevalent in the world and sitting and lazily enjoying our luxury. Gone With the Wind isn't just about the Civil War--it's about a pattern of humanity. I read this over 15 years ago and I still get mad at Scarlett every time I think of her! I couldn't agree more! You described the emotional roller coaster I had with this book perfectly! The week after I finished it, I would literally break into tears every time I thought about the devastating ending. I have equal parts love and hate for it, yet it is my favorite book for exactly the reasons you mentioned. If a book has the power to send me into a temporary depression, then how could it not be the most amazing piece of literature I've ever read? Oh, they could have been so happy... I can't get over that!! I know you're so right! That's exactly how I felt I couldn't stop thinking about the book and the characters for weeks afterwards! I think everybody feels the same way about the tragic ending. When I started reading Gone with the Wind I knew there was a sequel, Scarlett, and I couldn't understand why would someone do that, write a sequell to such a successfull book, more than 60 years later. Even more I never intended to read Scarlett because everybody said it wasn't worth it. But as soon as l finished Gone with the Wind I went on and read Scarlett, I just could'n bear for everything to end that way. I felt the same way. After I read the book, I cried. Not because of the sad ending but because I couldn't believe I read a book that thick just to be frustrated with the ending! So I thought, if it could have that effect on me, I guess I should rate it high! I've never been so emotionally damaged by a book in all my short life. I have read this book3 or 4 times and still love the book, nothing like the movie. Scarlet was ok but Rhett Butlet's People by Donald McCaig was almost as good as Scartlet. The tragically sad ending is what made this story a classic. Had Mitchell gone for the typical happy ending, it would still be a great read, but no more. 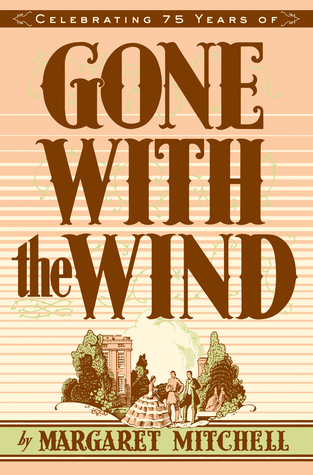 Plus, the title is "Gone with the Wind", it's implied right there that the book is about loss, it HAD to end the way it did. The sort of happy-ish ending is that Scarlett will go on fighting to the very end. I do wonder, had any of you people affected by the ending seen the movie before reading the novel? this review summed up my thoughts and feelings about the book exactly! great review. I just finished the book and was throwing things around my room in a rage, yelling to my husband about wasted hours of my life. knowing others have suffered as much as I have helps numb the pain a little. I honesty think that this book is very fairytail like at the beginning for Scarlet and then after all of these terrible things that happend to her it toughened her up to reality but torwards the end it was, in my opinion way too depressing and gloomy. Even though most people think that Scarlet and Rhett shouldn't end up together I do because they have been through so much together and yet have never not came back for one another. I think it also gives the readers context clues at the end because Scarlet is saying that she has Tara her homestead and basically she will think about it tomorrow and after all tomorrow is a new day. So I think that tells us that she is not giving up. And Rhett really does care he will come back for her like he always does! In thought that this book was boring and a waste of time. Scarlett was a miserable, selfish, and stupid character. She had to suffer many things (like the miscarriage after falling down the stairs, Bonnie dies while on a horse, the death of Melanie, and having to go through the love triangle she has with her friend, Ashley, and Rhett to realize who she "loves".) She keeps going back and forth and to only "love" Rhett (who I think had enough of her going back and forth and had moved on) in the end. Besides the romance part of the book (which controlled the whole book) I thought that the author did display a good milieu of Atlanta back in the 70's. The Southern culture of Georgia back then seemed right. With her second husband being in the KKK, slavery, prostitution, and so forth... But in all the character did have a lot of horrible things happen to her but I didnt like how the author made her a little selfish and "annoying" to me. I respect your opinion, though, and I hope you respect mine. Thank you. You described exactly what I experienced when I finished the book. I read the last few pages in a hurry, knowing the inevitable but wanting to be wrong about it, and when I finished I told my husband to burn it too! I can't imagine wanting to burn a book. I conjure up images of Nazi Germany and even the great library fires of Alexandria during the era of the Pharaohs. It's like having a childish tantrum, as if it would punish MM. Never burn a book. Mitchell worked on this book with her husband editing, for ten years. She finished around 1938 and meticulously did research down to the smallest details, like the weather the day of a documented battle. I believe she actually wrote the ending FIRST! She said it was difficult for her to write the beginning. She filled their apartment with pages written in longhand and typing and then had to move next door as there were chapters everywhere. She had to be forced to get it published. When the publishing company saw the ending chapters they wouldn't let her go until she began turning in beginning chapters. So those of you who didn't like the ending should know that MM had it all planned out from the get go. If you had read her biography before reading GWTW you would have known this. This was her baby, her labor of love. She saw some of herself in Scarlett and had the green eyes and same build. She was strong, fiery, loyal, caring but sickly. Her husband had to carry her from room to room. Maybe she wanted Scarlett to always be strong, to survive no matter what the odds, to be tough and above all, to love the land. Selfish? Of course. But she did what she had to do and helped Melanie and cared for the wounded soldiers, even though it wasn't part of of her nurturing spirit. You could count on her to be strong and always optimistic. Cry about this? No, I don't think I would cry for Scarlet. A way of life that had its own beauty was lost, Gone With the Wind. This was not a book about the evils of slavery and Mitchell didnt intend it to be. No one really has cause to cry for Scarlet. She will always find her way. She would always pay the price. And Rhett, who knows? He had feelings and maybe he just couldn't stomach Scarlet anymore. Maybe he would have found someone else, a man like that. No sequel can be told except the one in your head. That's the way Margaret planned it. I will always love this book and could never read a sequel written by another author. Margaret M. will always be the one in charge of what happened to Scarlett and her way of life. When she died, all was truly gone with the wind, concerning the characters, the story and the time. This is exactly how I felt after this book. I could hear snippets of my own life carrying on outside me while I read the book from start to finish breathlessly. I finished part 2 and might have to set it aside for a few days. I'm having trouble thinking about anything else. I'd actually recommend reading Rhett's People, by Donald McCaig. He's also written Ruth's Journey, about Mammy. He really has a feel for the time, and respect for Mitchell's work. Both were fully authorized by the Margaret Mitchell estate. I love GwtW. I have read at least 2 hardbacks to pieces (I've only ever done that with Louisa May Alcott books), since I was in junior high, which is a lot more years ago than I care to remember. I wanted to tear up every copy of Ripley's Scarlett, she wrote it like one of her romance novels! I am angry at myself for ever reading it and wish I could forget it!